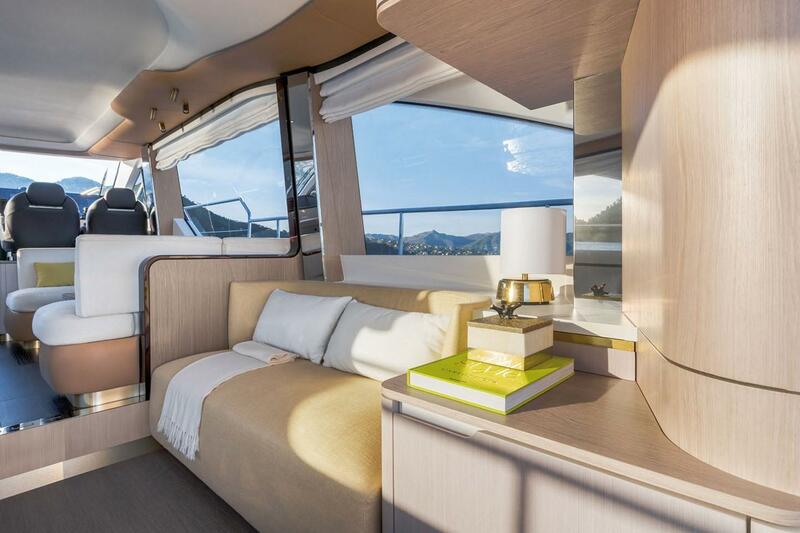 60 raises the bar for excellence to the next level and is set to become a new icon in its category. 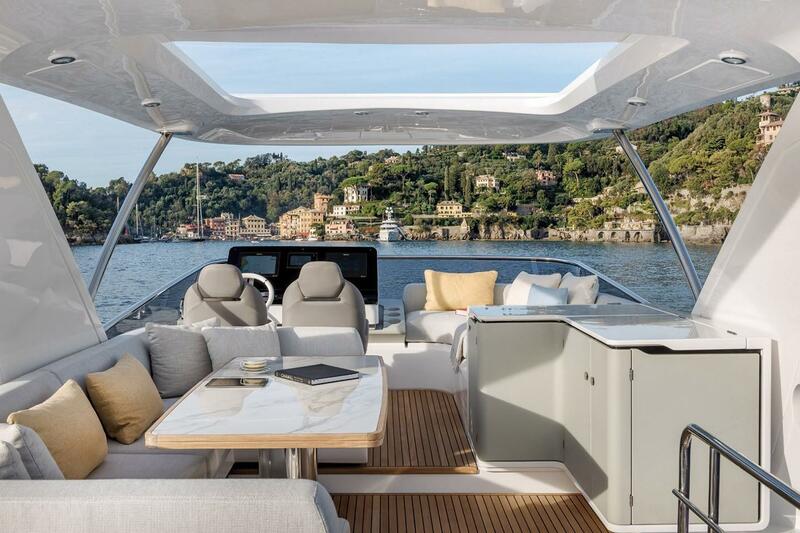 Style, design and innovation come together in an incredibly appealing cocktail that is bound to chart a new course through the waters of the international yacht market. 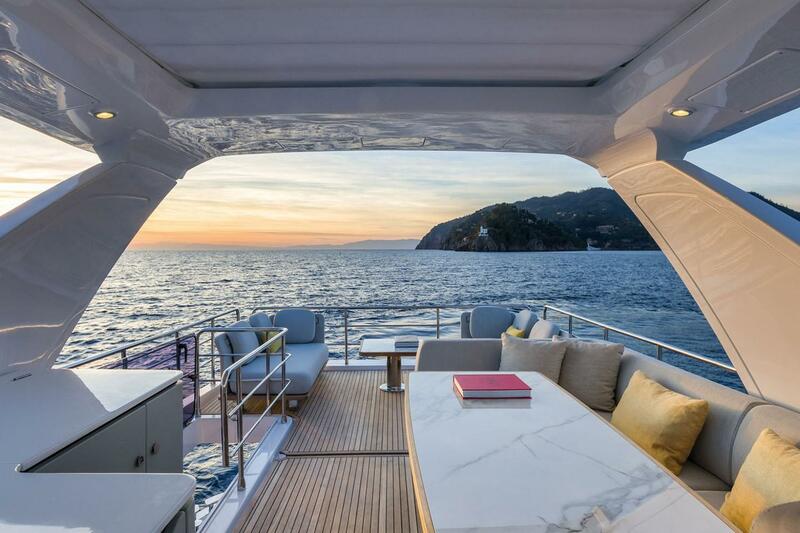 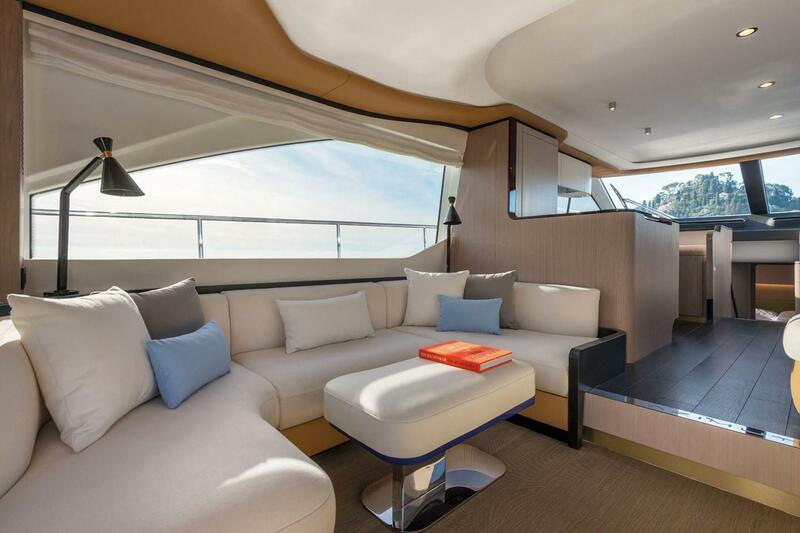 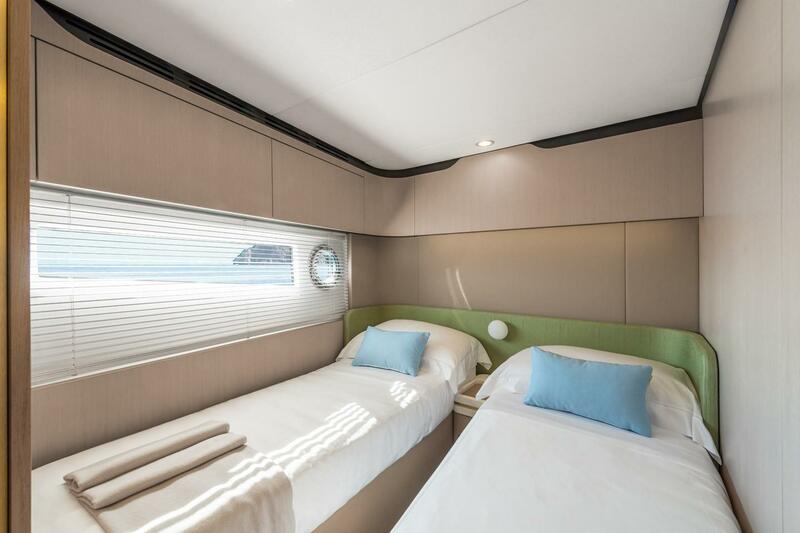 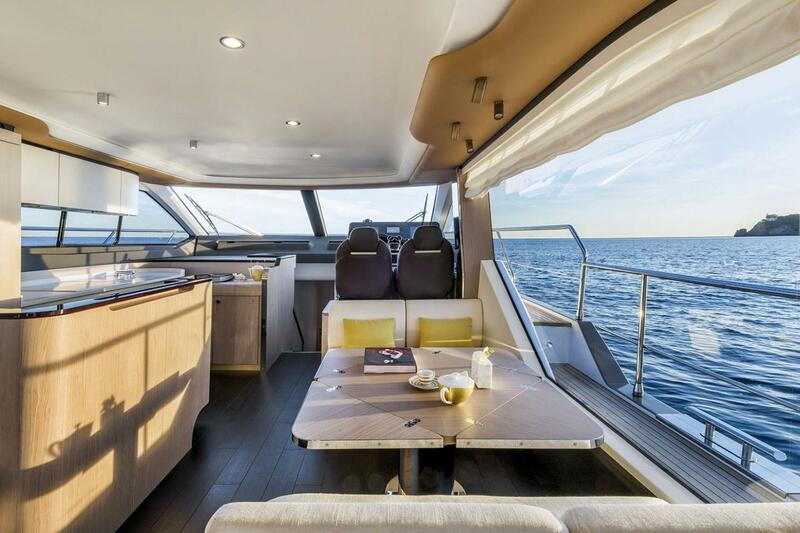 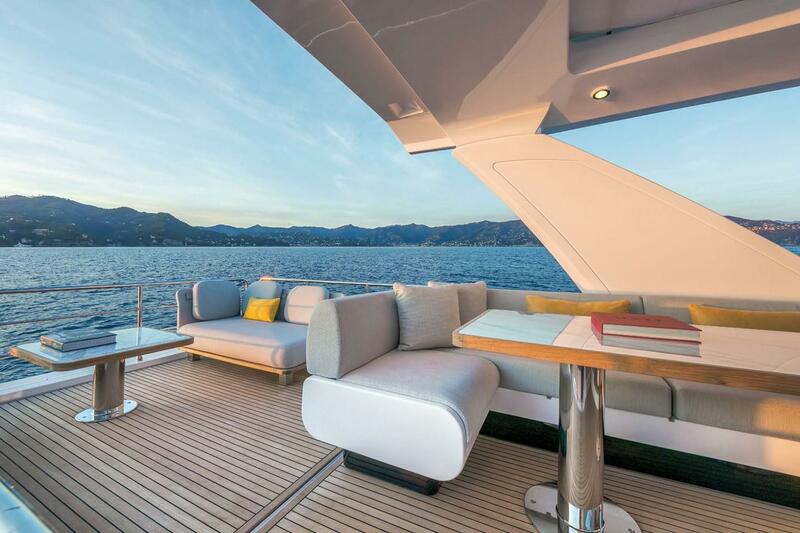 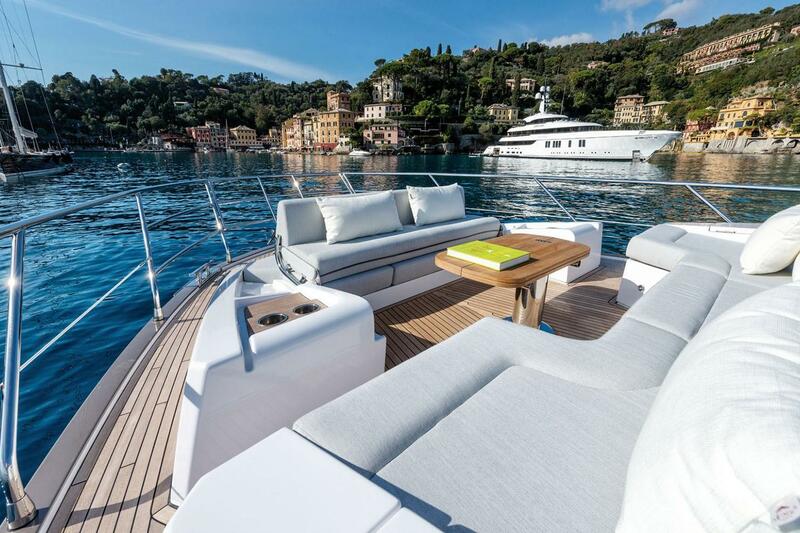 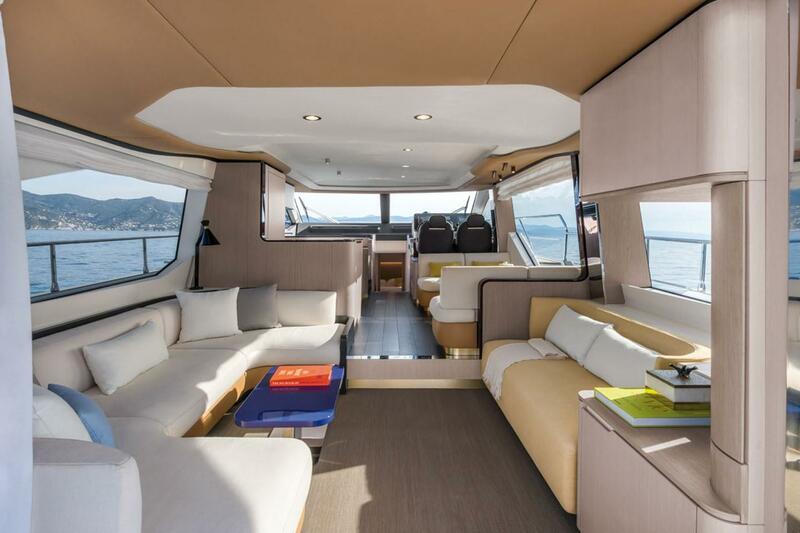 by sun pad and dining area, can be completed with an additional lounge in the aft. 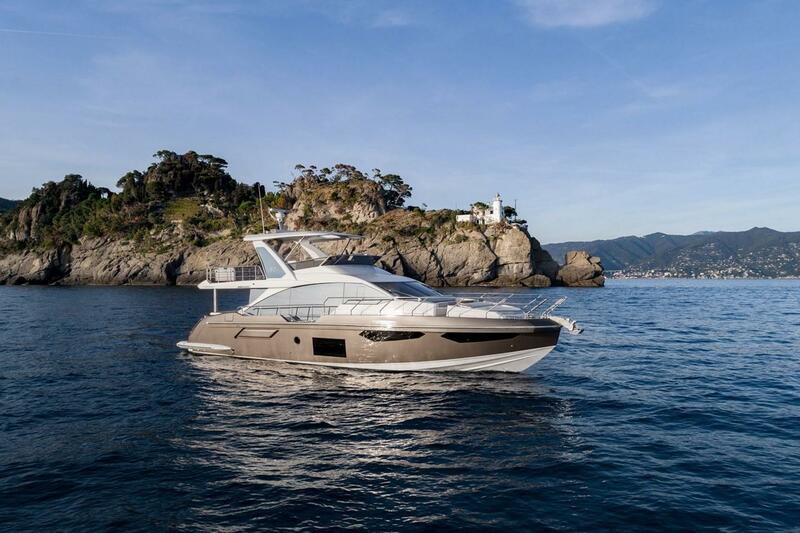 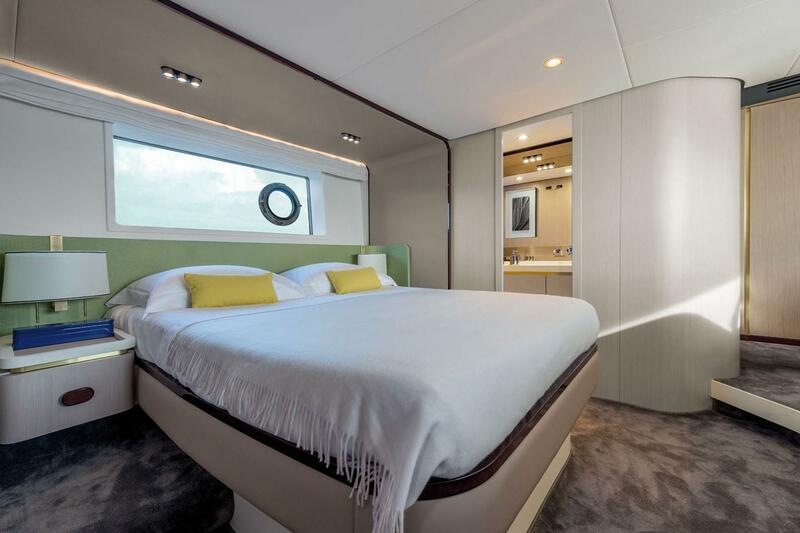 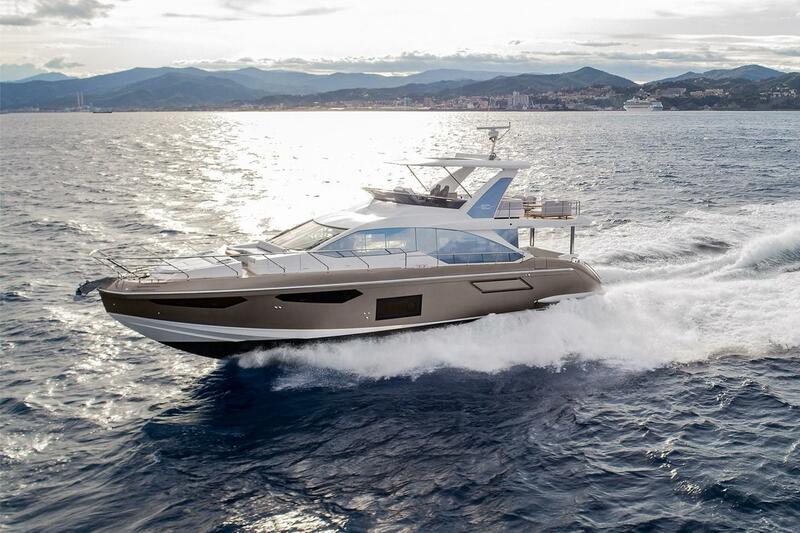 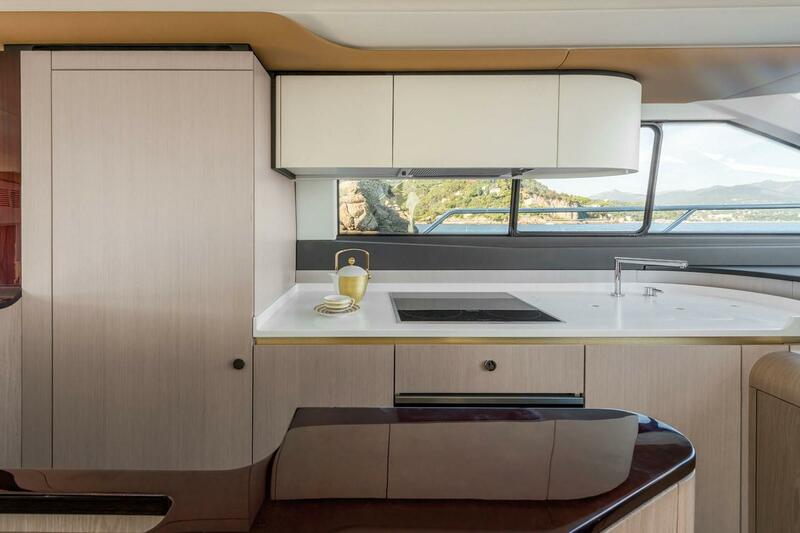 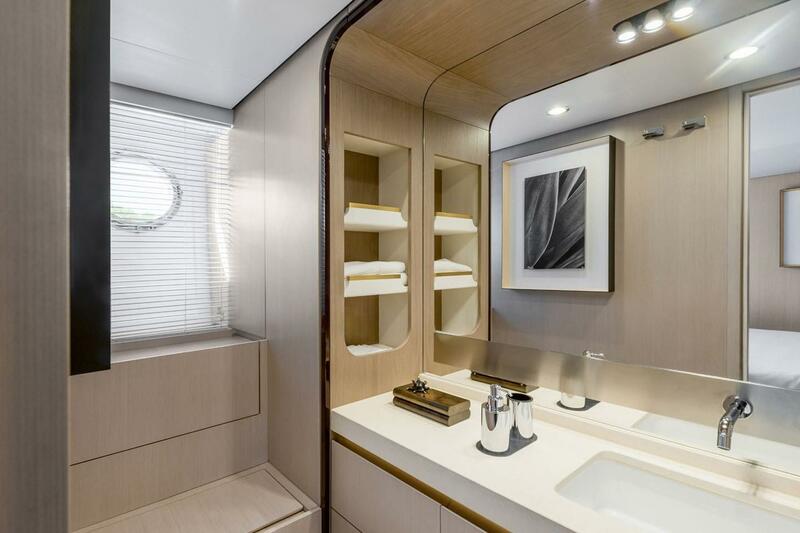 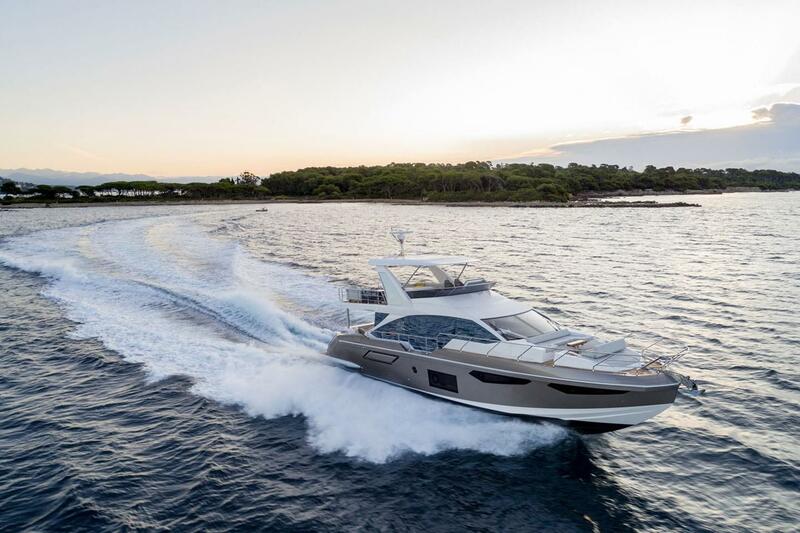 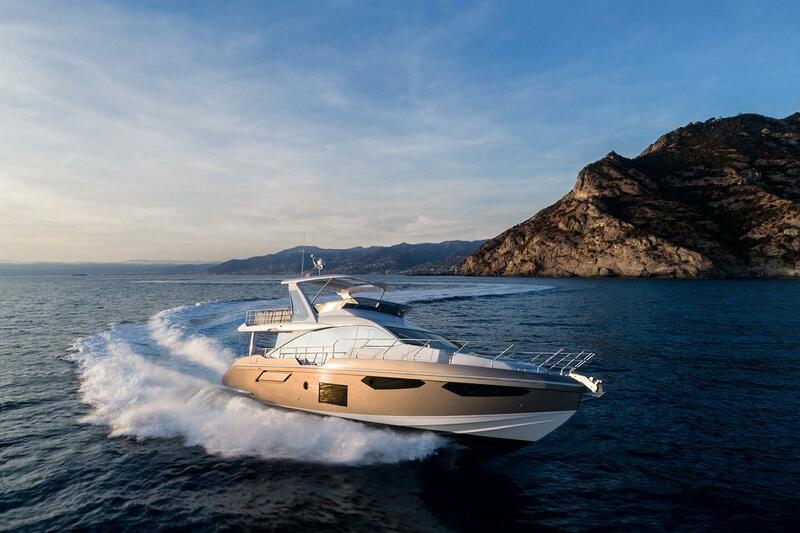 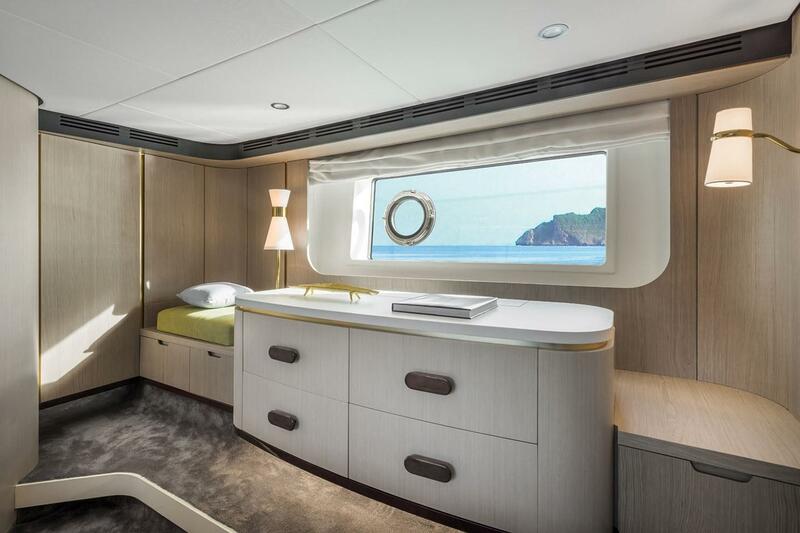 The variety of layout that you can personalize are designed exclusively for Azimut Yachts and inspired by the latest home design trends. 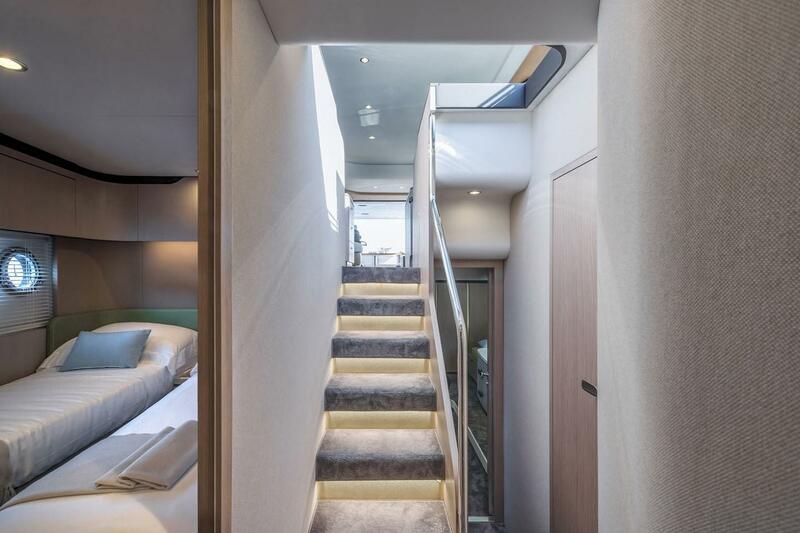 The interiors are designed by world renowned architect Achille Salvagni who uses flowing lines and streamlined shapes to reinterpret various classical features from a distinctive and unmistakably contemporary point of view. 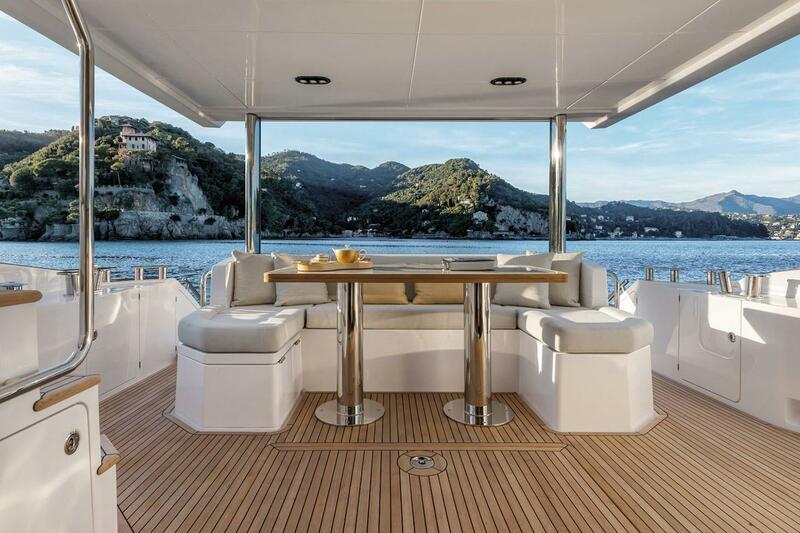 foldable wings or fixed leg table with crystal top.